For all of Spike Lee�s considerable achievements as a fiction filmmaker, he may be even better as a documentarian. Following 4 Little Girls, his 1997 documentary about the Alabama church bombings in the 1960s, his efforts in nonfiction were sporadic until Hurricane Katrina hit. His anger over the woefully inadequate response to the disaster turned what was originally planned as a two-hour HBO special into When the Levees Broke: A Requiem in Four Acts, which aired last August on the one-year anniversary of the hurricane. 1919 Hemphill screens the last two parts of this four-hour documentary on Sunday. Whereas the first two detailed the impact of the storm and the political shenanigans that cost so many Louisianans their lives and homes, the latter half examines the scattering of the survivors across the country and the huge efforts needed to rebuild the city. 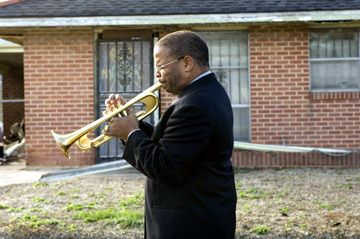 At one point Lee follows Terence Blanchard, a New Orleans jazz trumpeter and a composer on many of Lee�s films, through the city�s rubble and catches Blanchard�s mother bursting into tears as she contemplates the possessions she lost in her home, whose value goes far beyond the material for her. This work is infused with anger, despair, and a somewhat wild hope that the beloved Crescent City can rise again. The folks at 1919 will be sure to have updates on how that�s coming, and what we can do to help. When the Levees Broke screens 7pm Sun at 1919 Hemphill Dr, FW. Admission is free. Call 817-920-9665.